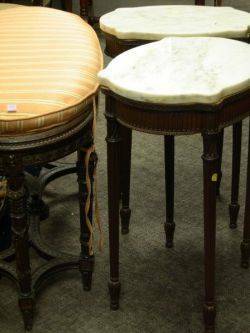 Pair of gilt marble top stands, 41" h.
Louis XVI Style Carved Walnut Bench a Pair of White Marble-top Stands and a Tabouret. 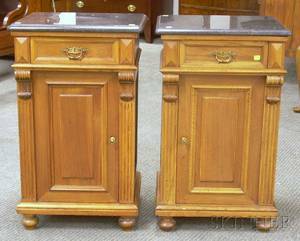 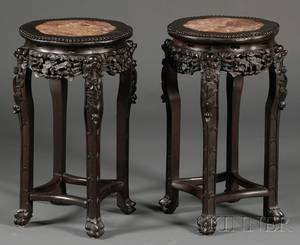 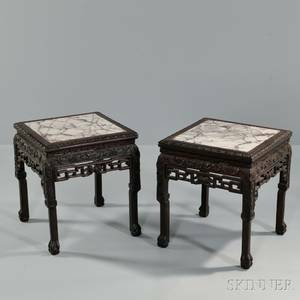 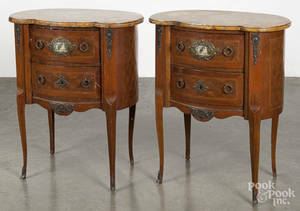 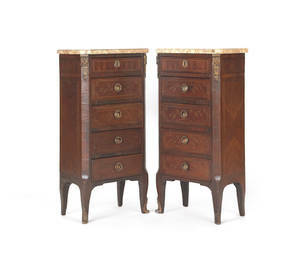 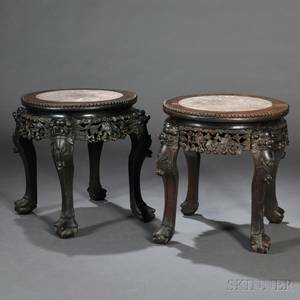 Pair of Victorian Marble-top Carved Walnut Commode Stands. 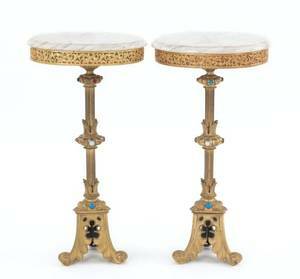 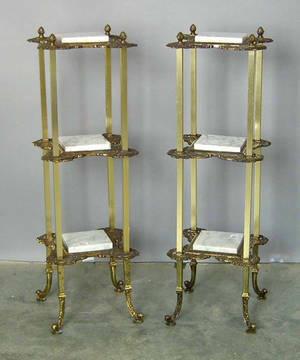 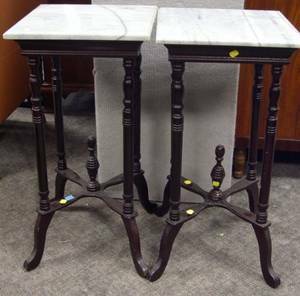 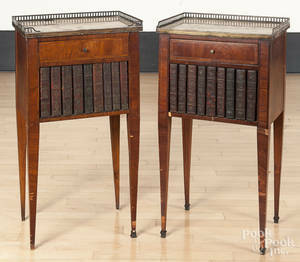 Pair of White Marble-top Mahogany Stands.